Some believe that you can determine the age of a tortoise by counting the rings on its shell. Wrong! 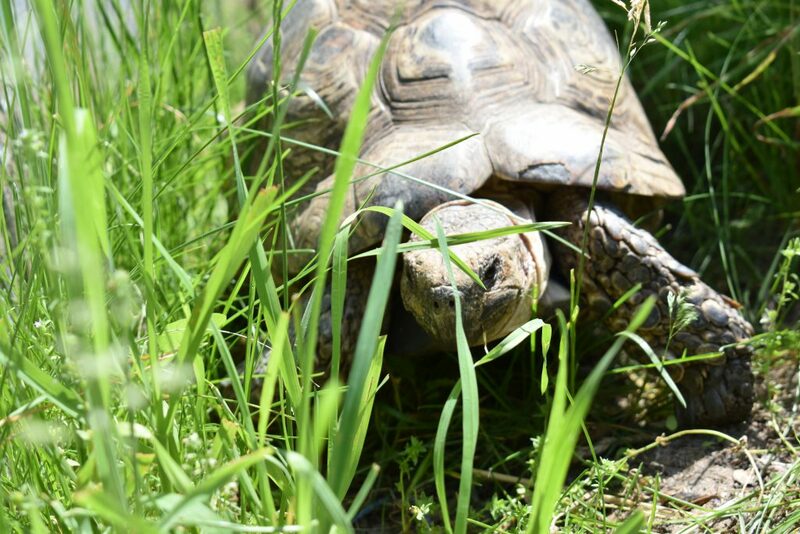 The rings or scutes are formed during growth periods and leopard tortoises (like all tortoises) may grow at different times and rates during the year. The leopard tortoise is one of the largest mainland tortoises and has an elevated carapace (the top part of the shell) that is tawny, yellow or buff, with brown centers to each scute with black radiations and spots. Because of this pattern, they’ve been given the name “leopard.” The male has a slightly concave plastron near the tail and a longer tail. 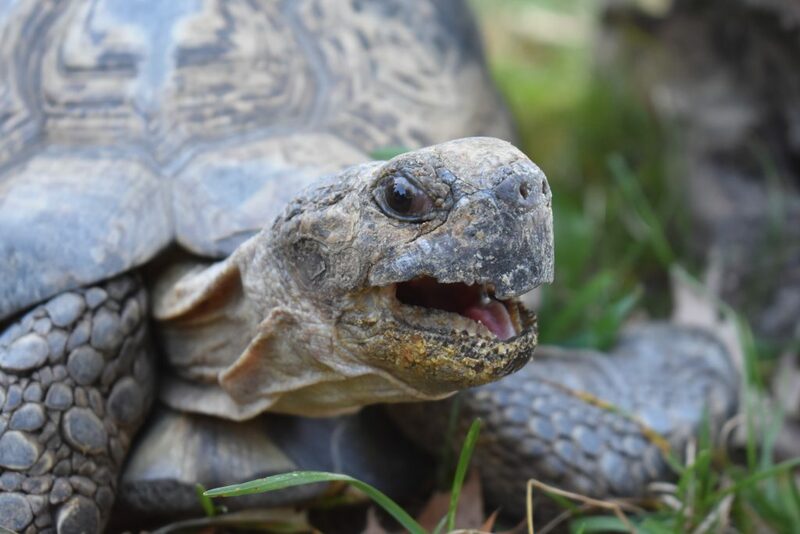 This guy, like all tortoises and turtles, cannot come completely out of his shell. His spine is fused to the underside of the carapace. The biggest threat to this species is human beings, which harvest them for food and for illegal export for the pet industry.